Are you asking what should I buy a 17 year old girl for a birthday or Christmas gift? 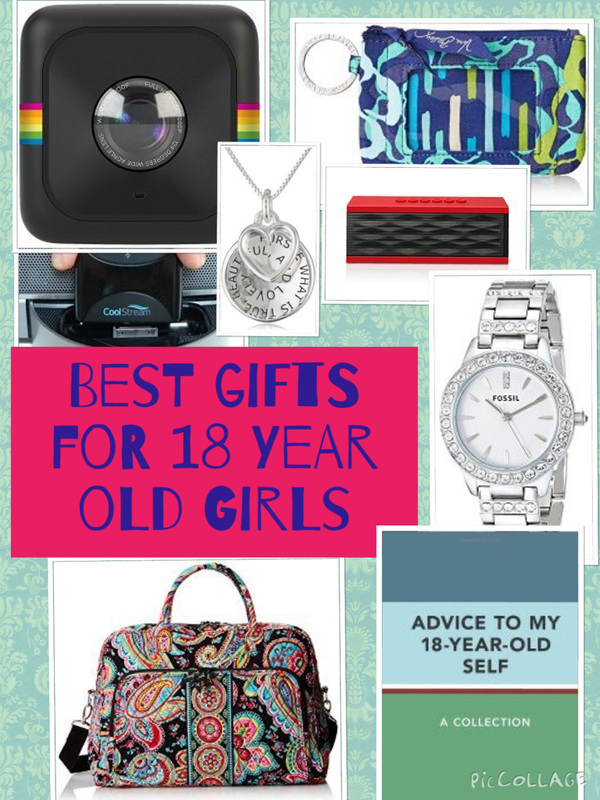 There are tons of fab gift suggestions for 17 year old girls below. It's actually quite a nice age to buy for. A 17 year old girl has the whole world at her feet. She is probably a little more solid in her likes and dislikes than younger teens but she still enjoys experimenting with different hobbies, looks and life experiences which can make finding a gift fun. The life stage of a 17 year old can give lots of clues to gifts she may like. She may be considering college, so books, gadgets and other items for her future life at college is one idea. Most girls this age will have a good social life, spending time with friends or a boyfriend or enjoying hobbies and interests. For many 17 year old girls study is still important so study gifts can be very much appreciated. Fashion and looking good can also be very important for teenage girls this age. Read on for lots of ideas and suggestions below. As already mentioned 17 year old girls may like going out with friends and have a boyfriend. When she sees her close friends she will probably want to look and feel good so gifts that facilitate this can be a winner! Some general ideas include make up sets, hair tools (curling and flat irons, crimpers and wavers), bath and shower sets and perfume. You can use the theme of looking good for gifts and come up with some unique ideas. For example, if she loves putting on make up see if you can pay for her to have a make up lesson from a beautician. This kind of skill will be great to have throughout her teens and twenties. Obviously pampering and spa days are other ideas. Check out some specific gift ideas below. A 4D lash mascara is slightly different to a standard mascara but it builds rich and thick eyelashes. ​Reviewers of the mascara rave that it lenghens lashes, separates them and adds volume. Most girls won't have a 4D silk fiber lash mascara in their make up kit already so it's a great option to give a make up fan something a bit different. The mascara is waterproof and smudgeproof and goes on easily. This is a very cool and useful hair tool to have in a girl's collection. It's very easy to use. It's a hairbrush that straightens your hair as it brushes. When straightening hair with the brush, just divide the hair into small sections to use it. It has an adjustable temperature so you can adjust the temperature according to your hair type (fine, medium, thick, wavy and curled). Go for a higher temperature the thicker your hair. It's a great alternative to a hair straightener. The one step hair dryer and volumizer is a really useful hair drying tool to help save time when drying and styling your hair. It delivers volume and shine when drying your hair. ​It creates volume at the root and beautifully full-bodied curls at the ends in a single pass, for salon blowouts at home. Books may not sound like the most exciting gift for a 17 year old girl but there are some fantastic exciting, fun and inpirational books available that make really useful gifts. Check out a couple of ideas below. If you're thinking this 17 year old girl is off to college next year and she doesn't know everything she should yet, she's not ready - then this is the book to get. It's a funny, easy to read book which is jam packed full of useful tips and pieces of advice that will serve her well as she zooms towards adulthood. In a nutshell it's all the pieces of advice your mom would give you if she could write a book. There's advice on everything from the laundry, to finances, to thinking about what you put on the Internet. It's a good book to dip in and out of or read cover to cover is she prefers. This book is aimed at grown up women of all ages but I think that 17 years old is actually a brilliant age to get this book. She can learn from somebody else's learned wisdom and knowledge right from the beginning of her adult life. And there is so much to learn in this book - it really is life changing. It encourages getting out of your comfort zone, dealing with unsupportive friends, move out of victimhood and live your passions. It's an inspiring and motivating read.. Some of the advice in the book will speak to her, other pieces may not resonate until later on her life but it should be a book that stays on her bedside table to be dipped in and out of during the college years and beyond. ​A gift she won't forget. Most 17 year old girls appreciate some new clothes although if your unsure about what she would like or her size, it may be worth taking her on a shopping trip to a mall so that she can try on and pick something themselves. Or give a clothes voucher. If you would like to buy her something to wear, another idea is some kind of clothing accessory. Around Christmas and winter time this is quite easy as scarves, gloves and hats are practical and easy to buy. Nightwear such as pajamas and dressing gowns are also easy to pick out. Other accessory ideas include sunglasses, umbrellas, slippers, socks, a wristlet or a purse. Warm winter boots are an essential for every girl's winter wardrobe. Tney are super versatile and can be worn with skinny jeans, leggings, even skirts and dresses. They will keep your feet warm in the cold weather. The Skechers boots featured are super warm and comfortable. They feature a stylish three button design and will look great. They come in three different colors and lots of different sizes. These are luxioriously soft pajamas that come with matching socks. They make a fantastic Christmas gift and will mean she can lounge around and sleep in comfort at home during the winter months. Christmas and Winter are sometimes easier times to buy gifts for 17 year olds. It's easy to buy a cute scarf and gloves. They will be useful and will keep her warm in the winter months. And you don't need to worry about sizes or if they will fit. The infinity scarf featured comes in various colors. It is easy to wear, just wrap around your neck. And will give you that extra warmth when it's cold. This is a great bag which can be used as an everyday bag on weekends, perhaps when she is shopping or out with friends. There are tons of pockets so she will be able to carry all her essentials and organize and find them easily. It's made of vegan leather. A wristlet is a really practical gift that she will wonder how she managed without. Use it to hold a smartphone, ID card, other cards and money. Use it on its own and attach it around your wrist. Or keep it in a bag and attach it inside so that you don't have to fish around in the bottom of a bag for essentials. The Vera Bradley wristlet featured comes in different colors and designs and will hold an iphone 6. This is the perfect ID case for her to take when she is out and about. It will carry her ID, debit cards and cash. She can also attach her keys. It's great for her to grab and go when she needs to get out quickly. Or she can just throw it in her bag. Lightweight, cute and very practical. Also great to carry her college ID if she is off to college in a year or two. These are great winter boots for any teen girl. They are very stylish and can easily go with jeans, leggings, skirts and are great for keeping your feet warm in everyday wear in the winter. The upper is made of soft suede for a natural look, and the boot's luxuriously cozy lining provides increased cushioning and all-over comfort. If she hasn't already got a tablet or a smartphone, they will almost always be a winner if you have the budget. There are also lots of new technology gadgets that make great gifts. Smart watches are the gadget of the moment. If she are into her fitness, activity bands which measure activity through the day and show things like calories burned and steps walked are popular gifts. If she already has a laptop, tablet or cellphone there are many accessories. Some ideas include portable chargers for devices, car chargers, headphones, bluetooth speakers and cases and stands. A fitness activity tracker is the perfect gift for a girl who cares and wants to improve her health and fitness. The fitbit wireless activity band gives you information on distance traveled, calories burned, stairs climbed, and active minutes. The display will show your stats and the time . You can also choose between 15 different exercise modes to work in such as run, cycle, yoga, circuit training and more. Swim proof and water proof and a battery life which lasts up to 7 days. It also syncs with 200 plus types of leading smartphone. So you can wirelessly send your stats to your phone. It will also give you notifications on your wrist of who's calling you, text and calandar notifications. You can also use it to monitor your sleep and there's a silent alarm too. So wake up without disturbing others. This is the perfect sized portable charger that she can carry in her bag to give her smart phone a little bit of extra juice when needed. It's one of the most powerful portable chargers of this size on the market. For example, it will give an over one charge (14 hours of talktime) on the iphone 6, almost one full charge to a Galaxy S6 or one full charge to most other phones. It's about the size of a lipstick tube so is ultra compact and should easily fit in a bag or pocket. It's fantastic peace of mind to know that she has a back up if her phone runs out of battery. It makes a fantastic stocking filler or secret santa gift. Ask for a song, artist, or genre from Amazon Music, Spotify, Pandora, and more and it will play what you want. It also can also play audiobooks, radio stations and news briefs. Call or message almost anyone hands-free. The speaker offers excellent sound. ​You can also check your calendar, weather, traffic, and sports scores, manage to-do and shopping lists. Great for a teen bedroom and for taking to college when she goes. The Echo Dot has all the features of the amazon echo above, except the speaker isn't as powerful and it's a lot cheaper. However it does have a built in speaker which has new improved sound and is great for streaming music too. You can also connect it to another speaker for more powerful sound. Use it to play music, control smart home devices, make calls, send and receive messages, provide information, read the news, set alarms, read audiobooks, check your calander and lots more. A really portable device which is perfect for a bedroom or to take to college if and when she goes. ​​A smartwatch is worn on the wrist, connects to your phone and will keep her up to date with text, e-mails and other pieces of information without having to reach in a bag or purse and pull out her phone. This is great for keeping up to date when in class when walking, traveling or anytime she doesn't want to get her phone out. There are lots of smart watches which have all kinds of different features. It's swm proof up to 50m. And of course the watch will tell the time too. A writing tablet is a great gift for using for study and for around the home. You can write working out for homework and study, write to do lists, shopping lists, telephone messages and leave messages for people who you live with. It's also great for doodling. It's lightweight and easy to use. It easily will fit into a backpack for school or for taking on vacation. One you have finished with your notes, just press the button to erase it and start again. It's really good for the environment as you don't need to use paper for these kind of tasks. 17 year olds are growing into young women and she will definitely want her own space. Some 17 year olds have even moved out of home and if this is the case, home gadgets and accessories for her home are good present ideas. Most 17 year old girls are still living at their parent's home and this means her bedroom will be her sanctuary. Any items that help personalize her space or make it more practical are good ideas. Some examples may include a gaming or bean bag chair that she or her friends can use, new bedding, pictures, photos, wall art, new lamps and lighting. She can use bluetooth speakers to listen to music in her room. Other ideas that can be used in her space include a TV, a sound bar for their TV, a media streaming players such as Google Chromecast or the new Apple TV. This is a cool alarm clock/speaker to have in a teen bedroom. It will stream music from bluetooth enabled devices such as a tablet or smartphone. The alarm can be set to bluetooth audio, FM radio or the built in tone. The really cool thing about this clock is the color changing element. The translucent cabinet and display changes color at the touch of a button. There are 6 colors and it there are different modes you can use. For example, it will change color as it plays music. There is also a microphone that allows you to take handsfree calls. The radio clock offers a digital display there's an FM radio with 6 presets. ​There is also a USB charging port which charges most smartphones and tablets. This is very convenient as it allows you to go to bed, set your alarm and plug your phone to fully charge it for the morning. This is a fantastic little speaker for any teenager that likes to listen to music wherever she goes. it will wirelessly connect to a phone or other device via bluetooth and stream her music. The fantastic thing about this speaker is she can take it anywhere. It has stretchy, attachable, marine grade bungee so she can attach it to her bike, backpack, kayak or anywhere you want to have music. Plus it's lighter than a can of soda. It's waterproof up to 1 meter for 30 minutes so great for outdoor use too. Use it by the shower or by the pool. The wireless range is 100 feet and it has the rechargeable battery lasts up to 9 hours. The sound is also amazing. This is another really cool little speaker that is perfect for use in the shower and it is fairly inexpensive (just over $20 at the time of writing). She can stream her music from her phone or other device and have fun singing along. The speaker is water resistant and can be used in the shower, by the pool or the ocean. It also has built-in MIC Bluetooth speaker and hands-free function, so you can conveniently pick up a call by this mini speaker in car, bathroom, at home or office, anywhere while it is connected to your smartphone. Many teens spend lots of time on the bed, looking at our phone, laptop and tablet and 17 year old girls are not exception. A bedrest is a gift she didn't know how much she will appreciate until she has it. ​The bed rest will give her back that extra support when she is on the bed looking at her device, watching TV, relaxing or reading her book. Simple to transport. Great to take to college when she goes. A bed shelfie can be attached onto her bed using a clamp with thick felt to prevent scratching No tools are needed. It is great to have all those items that you need close at hand. It can safely hold up to 15 pounds. So will be geat for items such as a 13 inch macbook, phone, ipad, kindle, books and water. It's built using bamboo which is an incredible renewable source. Bamboo matures in just 3 to 5 years. Many girls this age will appreciate jewelry. Some prefer fashion statement jewelry such as cuff bracelets and statement necklaces with a bit of bling whereas others prefer more classic timeless pieces. If you don't know her well, it can make it difficult to choose the right piece. You could take her to a jewelry store and let her show you some things she likes so you can get an idea (then go back when she's not there and buy it for her). An personalized piece of jewelry (inscribed with her name or initial), a pendant or bracelet inscribed with an inspirational message or a piece of jewelry with her birthstone in a pendant are good pieces to buy when you are not sure. Most girls will appreciate something like that. Check some ideas below. There are lots of pieces of jewelry with inspirational messages. The pendant opposite is engraved with the message "the journey is the reward". The necklace featuring a twisted pendant design. It's a unique necklace which is pefect for everyday wear. It is a fantastic message to have at all times to remind us to live for the moments during the day as not to just focus on the destination. A 1 inch stainless steel disc is hand stamped with the phrase "she believed she could so she did" and a small disc is hand stamped and a pearl dangle alongside the chain. It comes with a box so is ready for giving straight away. It makes the perfect gift because of the inspirational message. You can buy it in either silver or gold. The cuff / bangle bracelet featured is another piece of jewelry that has a fantastic message engraved and makes a lovely gift. The engraving reads "You are Braver Than You Believe Stronger Than You Seem and Smarter Than You Think". It's made of high grade stainless steel which will never rust, stain, or corrode. It's great for everyday wear and the message gives that extra bit of inspiration when she needs an extra bit of positivitiy. These are great words to wear all the time to give her some motivation and inspiration when she needs it. The necklace is great for everday wear. Many 17 year old girls are driving and if so, a car will be the ultimate gift. Obviously this out of most of our budgets so if she already have a car, gadgets and accessories for driving are a great idea. 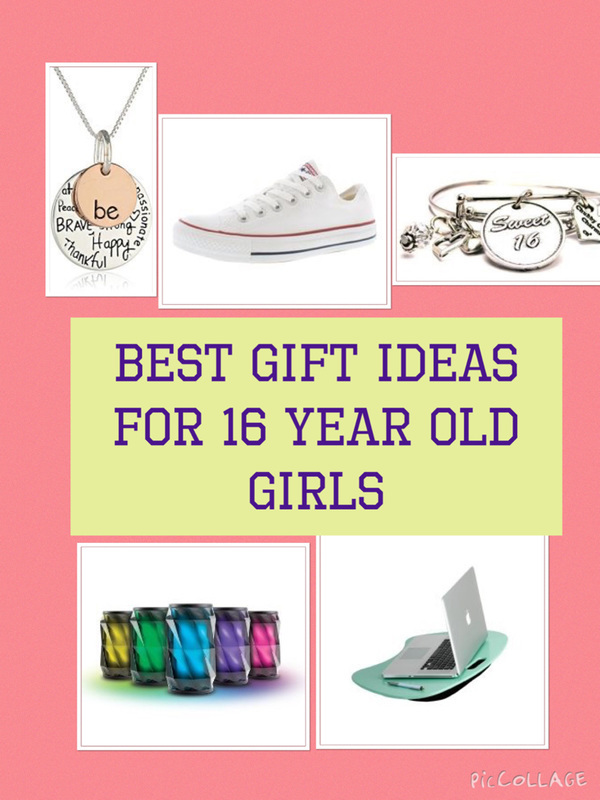 For some specific ideas look at the list of gifts for 18 year old girls. The driving book makes a great stocking stuffer or gift for new drivers. The driving book is a very useful and practical for those who recently passed their test and for anybody who needs a recap. It covers everything she could possibly need to know such as what to do if there is an accident and her car breaksdown, driving down country roads and driving in bad weather. There's also advice in dealing with pressures from friends. There is lots of useful information, advice and tips covering a wide range of driving topics. Many 17 year old girls will be studying so any gift that facilitates this will be useful. A bed rest or an lapdesk is an awesome idea for girls who like to work and study while sitting on the couch or on the bed. Other study gifts include an e-book reader, a book bag, journal or diary for planning homework, pens and stationary or how about an alarm clock so she can be up on time in the morning? If she likes to study while sitting on the bed or the couch it may be worth thinking about getting her a lapdesk. A lapdesk will allow her to comfortably rest her laptop on a desk wherever she is sitting. The lapdesk featured supports laptops up to 17 inches. It also has a cool and comfortable design built with a dual bolster cushion and handle for portability. It includes phone slot that fits mobile devices (slot dimensions = 5" x 0.75"). Most woman and girls will have a camera on her phone nowadays but miss out on the physical photo prints of years gone by. This is why a mini printer makes such a great gift. It provides easy and quick printing from a mobile device via bluetooth. You can print 2"x3" photos with peel and stick backing. Print your favorite Instagram and Facebook snapshots . The photos are great for having momentoes of family and friends. They can also be kept in a special album, used for scrapbooking or given as small gifts. Make cards with for your family and friends with a photo sticker attached. It's small enough to fit in your pocket so you can take it anywhere. ​Have pictures from special occasions, parties or just of loved ones. Brilliant for having images of all those moments that are worth remembering. The printer is lightweight, slim and portable so it can easily fit in a bag. Another option of camera which gives instant photos is the fujifilm Instax Mini 8 Instant Film Camera. It takes instant credit card sized photos. It's a really fun camera so you can get instant memories of family, friends, special occasions or just general day to day life. It's slim and lightweight so is super portable. It's easy to put in a bag and take anywhere. It also features automatic exposure measurement so the camera signals the recommended aperture setting with a flashing LED. This helps capture the perfect photo every time. The instax camera featured also comes with lots of accessories too. If she's sporty this opens up a whole new genre of gifts she would love. She may love the fitbit activity tracker that has been featured above. Other ideas include equipment to help her practise her chosen sport and activty such as training aids, balls, a personal coaching session and protective gear. She may also appreciate some workout and fitness clothes. Think warm and waterproof gear for the winter such as running leggings, warm hoodies, waterproof jackets, sports gloves and thicker socks. If she is the active type and likes camping, hiking, sports, extreme activities and going on other adventures she may appreciate a go pro camera which will allow her to take video of her exciting escapades. Go Pro cameras are designed to shoot video of sports, action as well as everyday events and special occasions. The Go Pro featured is the go pro hero 5. It is waterproof to 33ft (10m). Shoot video while swimming, snorkelling or doing other watersports. It's shockproof and dirtproof and designed to withstand more extreme environments. You can also purchase mounts to go with it so you can attach it to a helmet, bike, skateboard or other piece of sporting equipment and it can take footage as you go. ​It's fab for shooting footage of anything. Take it to a party, music concert or wherever you go. It's small, lightweight and portable so it can go with you wherever you want. It shoots gorgeous stunning 4K video and 12MP photos video. A fab gift to record memories for the future. Sometimes beauty sets and gifts are the best ideas. fun in the shower, fun on the beach, kiwi & strawberry, lavender, lemongrass green tea, love, mango papaya. melon ball, shea & coconut and victorian rose. If she loves to sing, she will love this wireless karaoke microphone. It's great for individual singing, karaoke with friends and family and parties. Connect to a phone or device via bluetooth. The music and your singing comes out of the microphone's speaker. There is volume control for your voice and the music. There are lots of karaoke videos on youtube which display the words so this is a great way to get started. This is a cute toilety bag, with a lovely design. It has mulitple compartments for different storage requirements. Everything inside folds up for easy storage and travel. So it's great to take essentials when staying at a friend's house or going away on vacation or for a weekend. There is a durable hook which is perfect for hanging the toiletry bag when camping or in a hotel for easy access to your stuff and for extra space saving. The final gift in this list for 17 year old girls is a light up vanity mirror. It's a fantastic accessory she can use when she's getting ready. It has 21 LED lights which can either be powered by batteries or a usb cable. The rose gold version is very pretty. The mirror itself has 3 panels magnifying and a wide-angle viewing for you to see clearly your facial features,make a more perfect makeup with each detail taken care of. Perfect for tweezing and eye makeup application. If all else fails, it's difficult to go wrong with some perfume. There are lots of different fragrances to choose from. Check out some bestselling options. This is a great beanie hat that's perfect for the cold weather. Just tie up your hair and put it through the hole in the top of the beanie. The beanie will keep you warm and it looks great. It's fab for doing your hair quickly on a cold day. The hat can cover a multitude of sins if need be. Another useful stocking filler idea is a space pen. It's great for students or just to have in her bag as a normal pen. It's called the space pen because it can write in outer space.